This Monday I worked at Piers Park for the first time. 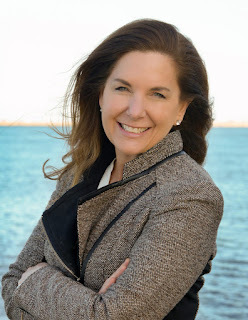 I was very eager to experience a new site and see another side of Save the Harbor's programming. When I arrived at Piers Park, I was greeted by a group of happy, curious, and engaging kids. These kids were very smart and extremely interested in learning more throughout the day. We began by playing name games until we had been introduced to everybody. Then, after a few safety instructions, we suited up into life jackets and took to the dock! At Piers Park, we have two crab traps and a fish trap. The kids took turns pulling up the traps and marveling at their contents. We caught a few crabs and one small fish. Once the traps were pulled up, I decided to take a couple kids kayaking around the dock. 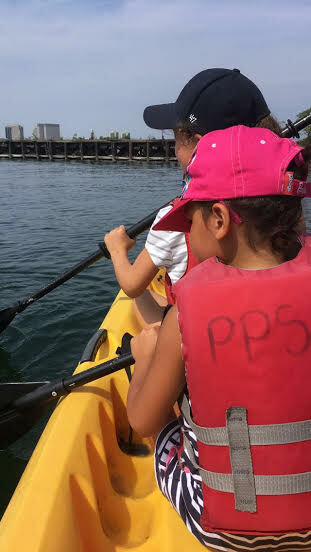 I hoped into a long yellow kayak with two talkative little ladies. At first, the girls were determined to paddle us all around the water and examine every inch of it. Unfortunately, their arms grew tired very quickly. I soon took over steering our kayak and started teaching them the history of the harbor. We noticed that there was a bit of debris in the harbor so I took this as an opportunity to teach the girls about how dirty the harbor once was and how Deer Island now keeps our water clean. We talked about all types of sea creatures and the science behind the tides as well. These girls told me that they wanted to be engineers one day and I informed them that understanding science and conservation was a great place to start! After my arms were weak from kayaking, it was time for lunch. As we ate lunch, we discussed the science behind the solar eclipse that would soon be taking place above us. The kids had a lot of great questions about how the moon blocked the sun and how to properly view the eclipse. 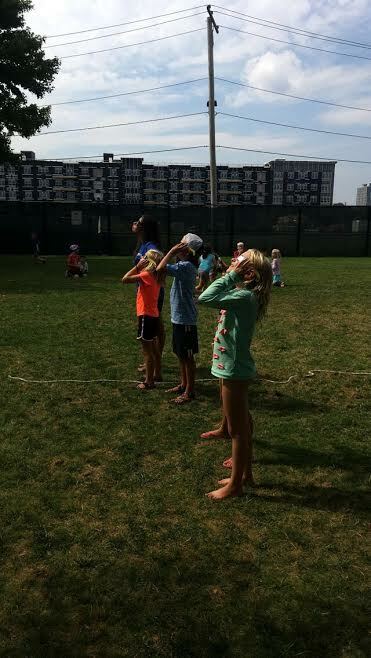 We had a few pairs of special viewing glasses available and took turns observing the neat event as it occurred. I had a great time at Piers Park and thoroughly enjoyed meeting new kids who wanted to learn about the harbor. Although it was a nice change of pace, I look forward to getting back out to my favorite place, Spectacle Island!